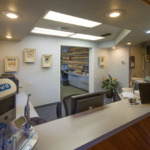 At Cocoa Village Dentistry you’ll find a friendly, skilled, and caring staff. You will soon notice that we enjoy working here, conversing with our patients, and helping you achieve your dental goals. What you won’t find is an office environment where someone slides open a window, asks for your insurance card, and quickly closes it – that’s simply not us! Some of our treatment rooms overlook the Cocoa Village Marina on the Indian River – giving great views to enjoy while you spend some time with us. Ever needed a crown? Your experience likely included multiple visits starting with impression trays and material, a temporary crown placement, and a return visit a couple of weeks later after the completed crown was received back from the dental lab. Modern technology to the rescue: for many crown procedures we do here at Cocoa Village Dentistry, we’re pleased to offer Same Day Crowns, a One-Visit Dentistry Solution using CEREC Technology. This is a cutting edge CAD/CAM procedure where we optically image your teeth, design the crown on a computer and then mill it out of a solid block of ceramic material in our office in just one visit. Located in a central location in Cocoa, Florida, we provide General, Cosmetic, and Family Dentistry to neighboring cities including Rockledge, Merritt Island, Viera, Port St. John, and more. Cocoa Village Dentistry, the practice of Dr. Thomas Lunstrum, is accredited by the Better Business Bureau (BBB), and carries an A+ rating. Only a few dentists in the region have earned this rating.